Huntington’s disease (HD) disturbs glucose metabolism in the brain by poorly understood mechanisms. HD neurons have defective glucose uptake, which is attenuated upon enhancing rab11 activity. Rab11 regulates numerous receptors and transporters trafficking onto cell surfaces; its diminished activity in HD cells affects the recycling of transferrin receptor and neuronal glutamate/cysteine transporter EAAC1. Glucose transporter 3 (Glut3) handles most glucose uptake in neurons. Here we investigated rab11 involvement in Glut3 trafficking. Glut3 was localized to rab11 positive puncta in primary neurons and immortalized striatal cells by immunofluorescence labeling and detected in rab11-enriched endosomes immuno-isolated from mouse brain by Western blot. Expression of dominant active and negative rab11 mutants in clonal striatal cells altered the levels of cell surface Glut3 suggesting a regulation by rab11. About 4% of total Glut3 occurred at the cell surface of primary WT neurons. HD140Q/140Q neurons had significantly less cell surface Glut3 than did WT neurons. Western blot analysis revealed comparable levels of Glut3 in the striatum and cortex of WT and HD140Q/140Q mice. However, brain slices immunolabeled with an antibody recognizing an extracellular epitope to Glut3 showed reduced surface expression of Glut3 in the striatum and cortex of HD140Q/140Q mice compared to that of WT mice. Surface labeling of GABAα1 receptor, which is not dependent on rab11, was not different between WT and HD140Q/140Q mouse brain slices. These data define Glut3 to be a rab11-dependent trafficking cargo and suggest that impaired Glut3 trafficking arising from rab11 dysfunction underlies the glucose hypometabolism observed in HD. A novel gene containing a trinucleotide repeat that is expanded and unstable on Huntington's disease chromosomes. The Huntington's Disease Collaborative Research Group. The Huntington's disease (HD) gene has been mapped in 4p16.3 but has eluded identification. We have used haplotype analysis of linkage disequilibrium to spotlight a small segment of 4p16.3 as the likely location of the defect. A new gene, IT15, isolated using cloned trapped exons from the target area contains a polymorphic trinucleotide repeat that is expanded and unstable on HD chromosomes. A (CAG)n repeat longer than the normal range was observed on HD chromosomes from all 75 disease families examined, comprising a variety of ethnic backgrounds and 4p16.3 haplotypes. The (CAG)n repeat appears to be located within the coding sequence of a predicted approximately 348 kd protein that is widely expressed but unrelated to any known gene. Thus, the HD mutation involves an unstable DNA segment, similar to those described in fragile X syndrome, spino-bulbar muscular atrophy, and myotonic dystrophy, acting in the context of a novel 4p16.3 gene to produce a dominant phenotype. Neuropathological classification of Huntington's disease. In postmortem brain specimens from 163 clinically diagnosed cases of Huntington's disease (HD) the striatum exhibited marked variation in the severity of neuropathological involvement. A system for grading this severity was established by macroscopic and microscopic criteria, resulting in five grades (0-4) designated in ascending order of severity. The grade correlates closely with the extent of clinical disability as assessed by a rating scale. In five cases of clinically diagnosed HD there were no discernible neuropathological abnormalities (grade 0), suggesting that the anatomical changes lag behind the development of clinical abnormalities. In eight cases, neuropathological changes could only be recognized microscopically (grade 1). The earliest changes were seen in the medial paraventricular portions of the caudate nucleus (CN), in the tail of the CN, and in the dorsal part of the putamen. Counts of neurons in the CN reveal that 50% are lost in grade 1 and that 95% are lost in grade 4; astrocytes are greatly increased in grades 2-4. These studies indicate that analyses of the CN in grade 4 would reflect mainly its astrocytic composition with a component of remote neurons projecting to the striatum. Because of the relative preservation of the lateral half of the head of the CN in grades 1-2, these regions would reflect early cellular and biochemical changes in HD. Small GTPases of the rab family are crucial elements of the machinery that controls membrane traffic. In the present study, we examined the distribution and function of rab11. Rab11 was shown by confocal immunofluorescence microscopy and EM to colocalize with internalized transferrin in the pericentriolar recycling compartment of CHO and BHK cells. Expression of rab11 mutants that are preferentially in the GTP- or GDP-bound state caused opposite effects on the distribution of transferrin-containing elements; rab11-GTP expression caused accumulation of labeled elements in the perinuclear area of the cell, whereas rab11-GDP caused a dispersion of the transferrin labeling. Functional studies showed that the early steps of uptake and recycling for transferrin were not affected by overexpression of rab11 proteins. However, recycling from the later recycling endosome was inhibited in cells overexpressing the rab11-GDP mutant. Rab5, which regulates early endocytic trafficking, acted before rab11 in the transferrin-recycling pathway as expression of rab5-GTP prevented transport to the rab11- positive recycling endosome. These results suggest a novel role for rab11 in controlling traffic through the recycling endosome. This is an Open Access article distributed under the terms of the Creative Commons Attribution License ( http://creativecommons.org/licenses/by/4.0), which permits unrestricted use, distribution, and reproduction in any medium, provided the original work is properly credited. The Creative Commons Public Domain Dedication waiver ( http://creativecommons.org/publicdomain/zero/1.0/) applies to the data made available in this article, unless otherwise stated. Selectively increased expression of the astrocytic/endothelial glucose transporter protein GLUT1 in acute liver failure. 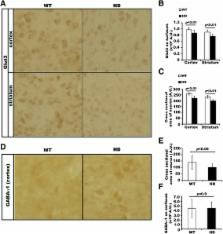 n-3 Fatty acids modulate brain glucose transport in endothelial cells of the blood-brain barrier. Is Huntingtin Dispensable in the Adult Brain?